That is somewhat true for the majority of the time. But that tune changes real fast when a trophy fish is on the line. That is when having the best fly reel with a smooth drag system is worth its weight in gold. Your reel can be the difference between landing, or losing a trophy. That’s why Fly Fishing Atlas brings you our take on the best fly reels. When you hook into that monster fish of a lifetime, we want to see you land it! There are numerous approaches to fly fishing and numerous reels to assist anglers in their pursuits. Your favorite ways to fly fish will guide your choice on which fly fishing reel will provide for your particular needs. What Makes One Reel Better Than Another? Choosing the best fly fishing reels shouldn’t be based on looks alone. That would be asking for problems. There are so many flashy looking reels on the market that consist of super cheap components. Most bargain fly fishing reels require more maintenance to last, and the drag system will not perform like a good quality reel. The fly reel you select really should balance well with your fly rod. Most manufacturers provide recommendations on what rod weights pair up well with their reels. 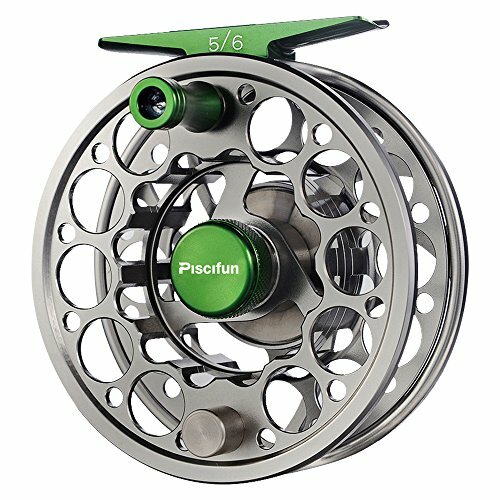 A reel labeled 4/5 would mean the manufacturer suggests fishing the reel with a four or five weight fly rod. Selecting a reel that makes your fly rod feel balanced will prevent arm fatigue and make your combination perform at it’s best. If you fish hard then buying a reel with a sealed drag system is super important. Reels without a sealed drag collect bits of dirt and sand that slowly works into crucial components. Over time grit and grime will destroy a drag system, but more often than not the reel will lock up suddenly and stop turning altogether. That is the last thing you want when you’re battling with a trophy fish. The best drag systems will provide a wide range of adjustment. You don’t want a drag that goes from no drag to very high resistance with a half turn of the drag knob. A sensitive drag that can be fine-tuned with small adjustments will help to protect light tippets from breakage. Have you ever tried to check your drag tension by pulling out some line? You might have noticed that the drag seems a little sticky as it starts to release line. That initial sticky feeling is the friction from start-up inertia. When the initial friction lets go, it really lets go. It can feel like you have no drag system at all. Quality fly fishing reels use components that minimize start up inertia and keep a smooth and consistent pressure on the fish. Make sure that the reel you buy is reversible. Most reels of any quality are reversible to accommodate both left and right handed casters, but make sure you check for this feature. Big-ticket reels don’t always translate into big-ticket performance. There are super expensive fly fishing reels that don’t hold a candle to others that could end up saving you a ton of cash. 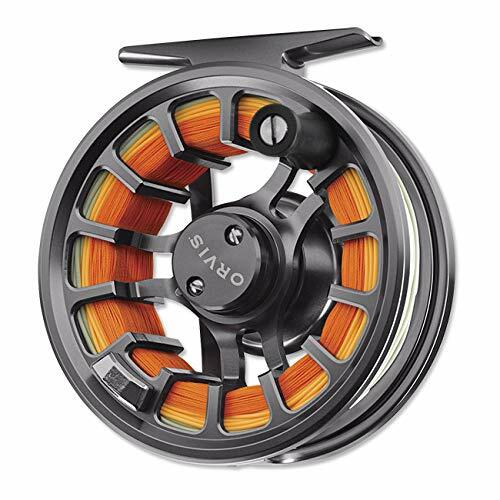 The Orvis Hydros SL is one of those tremendously capable reels that can save you serious coin. The quality of the Orvis brand is simply legendary among outdoor gear. The Orvis Hydros SL has been a tremendously successful design, with excellent reviews among fly fishing aficionados and throughout the guide community. Durability is a real strong point of the Orvis Hydros SL. The drag system is fully sealed to lock out bits of dirt and sand that wreck havoc in unsealed systems. 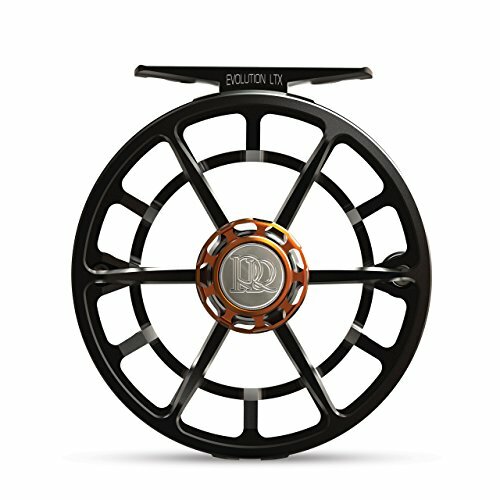 A new frame and spool design has also added to the rugged build quality of this fly fishing reel. Speaking of that new frame and spool – its wonderfully versatile. The spool features a super large arbor which means lightening fast line retrieval when you need to pick up line quickly. 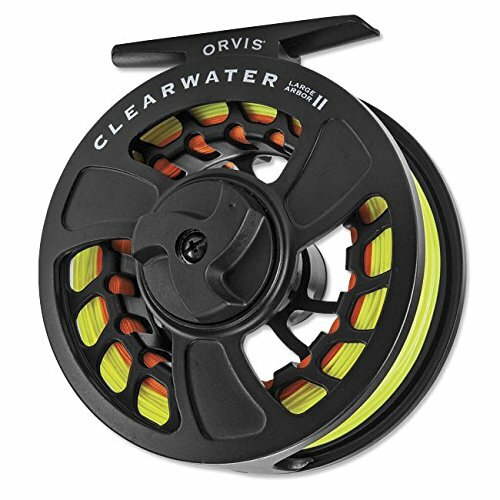 That sealed carbon drag system in combination with a super large arbor makes the more sizeable varieties of the Orvis Hydros SL ideal for salt water use. Along with a sealed clutch bearing, the zero start-up inertia makes the robust drag system well prepared for when those big saltwater fish start peeling off line. Today’s modern fly rods are constructed from super light weight materials, and are constantly getting lighter. Finding fly fishing reels that balance well with the newest fly rods can be challenging. But the Orvis Hydros SL pairs nicely with modern trout rods with a weight around 5.6-5.9 ounces depending on your choice of size. We’re confident that the craftsmanship and performance of the Orvis Hydros SL can speak for itself. If for some reason you don’t like it, Orvis has one of the best return policies in the business with a 100% satisfaction guarantee. The Orvis Hydros SL is a must-see if you are in the market for a fly fishing reel that provides huge performance at a terrific price. 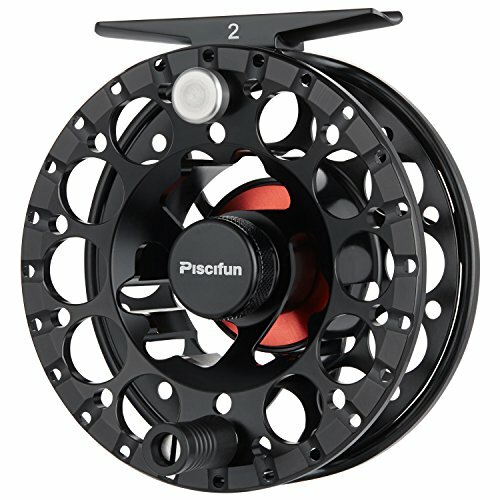 The Piscifun Platte is a true performer for an entry-level class fly reel. This reel is easily the best fly reel under $200 and offers tremendous value and capability to anglers just starting in the sport of fly fishing. The Piscifun Platte is a fully machined reel which provides a level of inherent durability that you won’t find in a die-cast reel. Frame and spool fit offers nice tolerances that are every bit as good as high end reels. Piscifun puts their stamp of approval on using the Platte fly reel for both saltwater and freshwater use. The large arbor design provides for picking up line quickly when needed. A fully CNC machined reel and spool provide maximum air exposure to your line and backing which helps to promote faster drying. And with plenty of porting, the Piscifun Platte is also very light, which makes the reel balance very well with today’s lightweight fly rods. Start-up inertia in this drag system is surprisingly low when pulling off line. The drag releases line smoothly while producing a subdued clicking sound while line is outbound and also while retrieving line. A fully sealed carbon to stainless drag mechanism in the Piscifun Platte seals out water and grit to ensure your fly reel will last. This fly reel also requires no maintenance except for simple rinsing, which is particularly important after use in the salt. For quick drag adjustments the Piscifun Platte features a large drag knob with a knurled edge to provide a good grip. The spool features a quick release button for simple spool swaps when you need to change lines. You’ll be hard-pressed to match the cost and quality of this fly reel, particularly if you are looking for a reel with a sealed drag system. The Piscifun Platte will serve you well if you take good care of it, rise the saltwater off, etc. Beyond that, the Piscifun Platte has great reviews online, with well over 90% providing 4 or 5 star ratings. 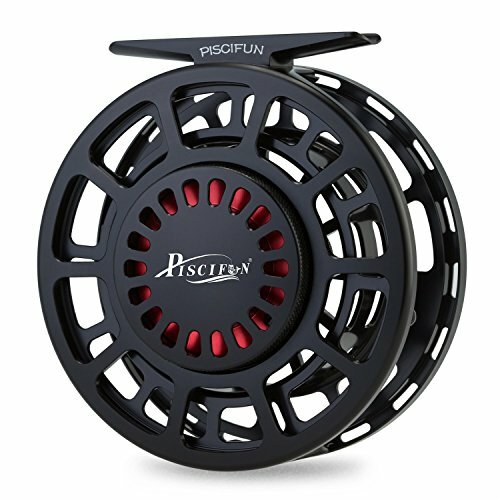 If you are in the market for a very reasonably priced fly reel that can perform in a variety of environments, then we suggest considering the Piscifun Platte.. The Guru from Waterworks-Lamson is just a solid performing reel. Lamson designed the Guru with capability and a great price in mind. Fortunately for us, Lamson has a strong history of producing bomb proof mid-priced reels that can go toe-to-toe with big fish. The Guru continues that tradition and builds on the smart ideas engineered into other of Lamson’s mid-priced designs. 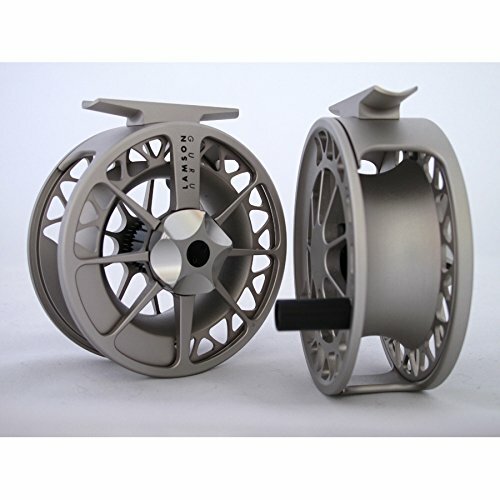 Lamson uses strong machined aluminum for the Guru which really helps to keep this reel affordable. Most reels in this class won’t offer great drag systems, but the conical drag system of the Liquid is strong, smooth, and has super low start up inertia. Straight pull drag strength on the 5/6 model comes in at about 4.5 lbs, which is still quite strong, even for larger fish. Some manufacturers say their fly fishing reels are maintenance free, but they truly need added lubrication. The Guru has a true sealed drag that is USA-made, right in Idaho. The drag system has a good range of adjustment for sensitivity that protects very light tippet. Maintenance is little to none, and the spool is easy to swap out when needed. When a big fish makes a run straight at you – the Guru sports a large arbor that can pick up that slack line fast. Lamson’s Guru features a solid arbor design rather than ported, so your backing might take a little longer to dry – no big deal to us. The spool is a single piece design with a good handle that provides good grip for a straight handle. For your average trout fishing adventures we recommend the Guru 1.5 for 3/4/5 weight rod because it is light weight and less expensive. If you are chasing larger trout that might need more backing then we recommend the Guru 2, which is the dedicated 5/6 version. The mid-priced Guru from Waterworks-Lamson is a solid performer that comes in at a great price. The Rush Light from Galvan is a true diamond in the rough. We’ve found that the Rush Light is probably the most under-rated and often unknown gem. 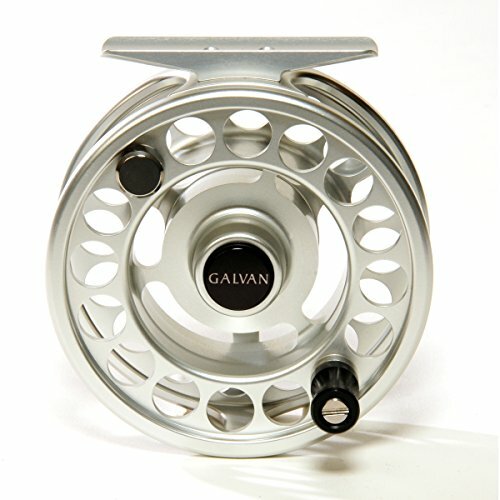 The premier reel from Galvan, the Galvan Torque, is such a wonderful reel that the Rush Light is very often overlooked or not considered. Anglers need to know that the Rush Light embodies almost all the same technological features, inner components, and capability of the Torque, and is less expensive. In fact, the drag system of the Rush light is tremendously capable, utilizing the same drag system as the Torque. We looked at the Rush Light 5 which is a good all-around reel capable of handling large trout and bass. The straight pull maximum drag of the Rush Light measures in at a whopping 12 pounds. That is a crazy amount of drag! Other reels also have wildly strong drags, but very few combine that with the level of sensitivity Galvan engineered into the Rush Light. The range of drag settings is very extensive. So when a big fish busts out on an unexpected run you can have confidence that the Rush Light will safeguard your tippet from breakage. Galvan adopted the simple porting design for the Rush Light from the original Rush Series which was well known for its incredible durability. Adopting an existing design allowed Galvan to minimize their costs and reduce weight while maintaining the strength that the Rush Series reels were known for. Like it’s predecessor, the Rush Light can really take a punch without losing the ability to perform reliably. For serious anglers, fishing guides, or folks who want to buy a reel to last their lifetime, the Rush Light is an amazing value for an incredibly durable and capable reel. If you are in the market for a top-notch reel that will perform reliably and that comes in at a super reasonable price, we don’t hesitate to point you toward the Galvan Rush Light. The Evolution LTX is the continuation of an epic line of fly fishing reels from Ross Reels. The Evolution LT built an incredible following among trout anglers with its smooth drag and robust durability. Ross Reels engineers took the Evolution design back to the drawing board and debuted a new drag with the LTX that Ross touts as four times stronger than previous designs. That puts the new stacked disc drag system of the Evolution LTX around 7-8 pounds of maximum drag! Realistically, that is probably more drag than you will ever need. But who would complain about more horsepower from a reel that is already legendary? The iconic sound and smooth operation of the Evolution remains unchanged. What has changed is the new handle. All LTX large arbor spools feature a new handle machined from canvas phenolic rod. Ross Reels selected this new material to reduce weight, add durability, and increase grip. This is exactly what you are looking for when you are fighting a big fish on your reel. You want to have a handle that you can grab quickly and grip easily without your fingers slipping off. Ross also points out that the unique bell-shape of the arbor adds to its strength and can self-level the fly line as it is retrieved onto the spool. The LTX spool also has a nifty line channel so anglers can conveniently hide their arbor knot while spooling on the backing. Though the line channel is obviously not an essential feature, it is another example of innovative ideas that come from Ross Reels. Ross suggests that the Evolution LTX makes a viable light saltwater contender. The Evolution LTX is perfect for anglers who primarily fish freshwater and maybe mix in some salt for striped bass, sea trout, or redfish. Of course, big trout are always a welcome fight. The pleasing appearance, impressive drag system, and fair price all but guarantee that the Evolution LTX will not disappoint. Frame / Spool made from a 6061-T6 proprietary aluminum alloy specifically engineered for Ross Reels. The finish is hard anodized for the perfect balance of durability and color. Oil impregnated bronze bushing rotating on a stainless steel spindle. Industry leading power-to-weight ratio in a fully sealed drag system. Proprietary carbon fiber and stainless steel disc stack. Creating extreme pressure in a small package! The LTX also incorporates a handle machined from canvas phenolic rod, which reduces weight, adds durability, and increases grip when wet. These improvements make the LTX a true light saltwater contender, perfectly at home on the flats as it is on the shores of a western river. 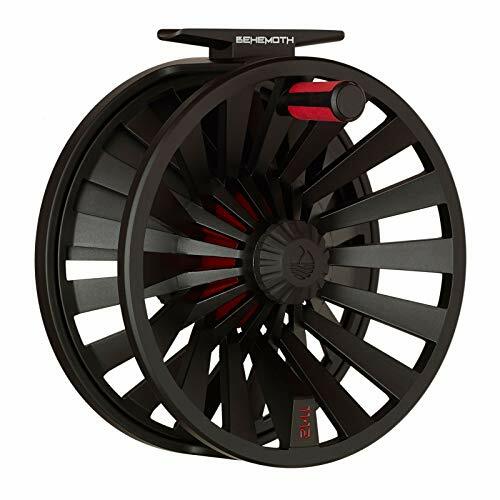 Another affordable fly reel that we wanted to take a look at was the Redington Behemoth. Redington makes a wide selection of fishing gear that has a solid reputation for quality and reasonable pricing. 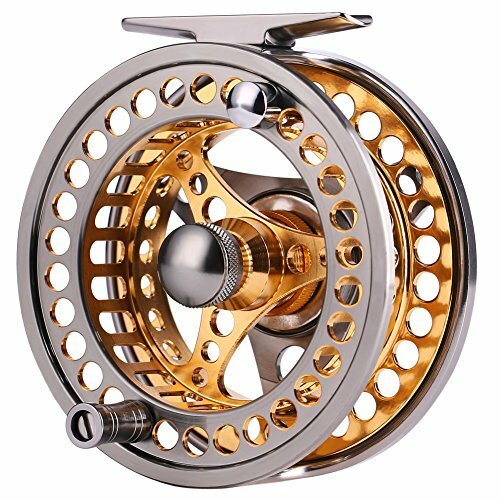 The Behemoth has gathered quite the reputation as a great all-around utilitarian fly fishing reel. This reel is die-cast, so it won’t be able to take a punch like a reel machined from a solid block of aluminum. A large interlocking arbor on the Redington Behemoth allows for quick retrieval of your fly line. The spool also constantly exposes your line and backing to the air to provide for faster drying. We won’t pretend that the drag system is in the same class as a high-end reel. But it does offer anglers a very strong carbon fiber drag system. In fact, in larger sizes the drag system is strong enough to battle big game fish, including saltwater species. 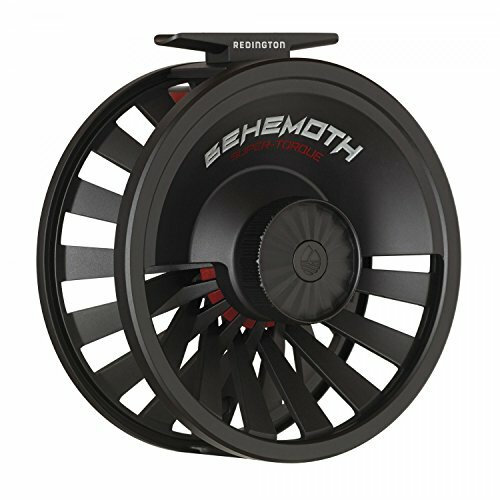 Redington designed the Behemoth with tremendous drag resistance that tops out at almost 17 lbs. That’s a lot of stopping power! One of the downfalls we noticed with the Behemoth is the weight. Most modern fly rods are pretty light weight, so you might struggle to find a nicely balanced set up. It might be worthwhile to consider a fly rod longer than 9 ft to off-set the weight. And like most cast reels, the Behemoth may suffer a loss in performance from impacts or drops. If you take care of your gear, you should have no problems with the Behemoth from Redington. Don’t bash it around, rinse it well after saltwater use, and you’ll have a good reel that will last. The online reviews have this reel receiving a stellar rating with reviewers giving it plenty of 4 or 5 star marks. With the great price and capability, we strongly recommend the Redington Behemoth. A killer freshwater fly reel for multi-species fishing in rivers, lakes, streams, creeks.Ideal for all around fly fishing species such as Trout, Grayling, Salmon and other predatory fish. 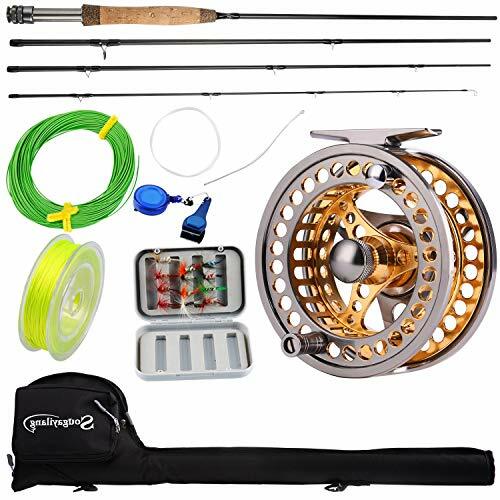 FLY FISHING COMBO include: ONE Fly Rod(9 ft, 5/6 weight, 4 pcs rod),ONE Fly Reel(size:5/6), 100FT Fly Line, backing and leader, ONE rod case, ONE fly box, 12PCS flies,spare leader, zinger and nipper,ONE Carrier Case,Very easy to carry around. Wonderful mothers day gift idea. THE ROD:4 sections designed medium fast action fly fishing rods, fly rods made from carbon fiber, durable and extra light weight, Metal adjustable fishing reels seat, texture, simple and firm.Mid flex IM8 graphite design, aluminum reel seat, stainless steel stripper guide with SiC ring, stainless steel single foot snake guides and hook keeper. 7" western-style grip made with high quality cork and compressed cork trim rings helps casting accuracy,avoids fatigue. THE REEL:This fly reel is made of CNC-machined 6061-T6 aluminum alloy,larger CNC hollow design makes the reel lighter than ordinary ones.2+1 Ball Bearings and 1:1 Gear Ratio, One-way roller bearing engages drag in one direction,Strong All-aluminum construction. 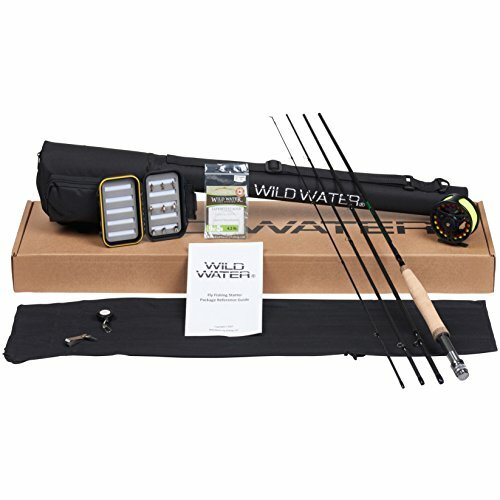 The combo includes everything that you will need to start fly fishing. A convenient zippered case helps you carry everything when you go fishing.A killer freshwater fly reel for multi-species fishing in rivers, lakes, streams, creeks.，Ideal for all around fly fishing species such as Trout, Grayling, Salmon and other predatory fish.